After becoming a Margaret Thatcher refugee in late 1981 when around two million working class Britons lost their jobs over a twelve month period. I decided to make my way back to Sydney, Australia to see what the lay of the land was like for a thirty year old graphic reproduction camera operator in the printing industry. My first stop on my journey was in New York City where I visited “The Heye Foundation’s Museum of the American Indian” in Broadway. With home ownership now a recent distant memory from the chaos in my homeland of Scotland I turned my attention to my childhood passion for the American West and what happened to the Native American survivors of that period who lived on the Great Plains. While enjoying the beautiful regalia in the glass cases of the museum I ventured into the bookshop and flicked through a handful of publications about the lives of the old plains nomads who made it into the twentieth century bloodied and bruised but still with their black humour and interesting take on life still intact. Before I departing the museum I purchased “Black Elk Speaks” and “Lame Deer: Seeker of Visions.” I did not know it at that time but both these publication switched on lights for me and my desire for more knowledge regarding the recent history of the west and its people grew from that day on. 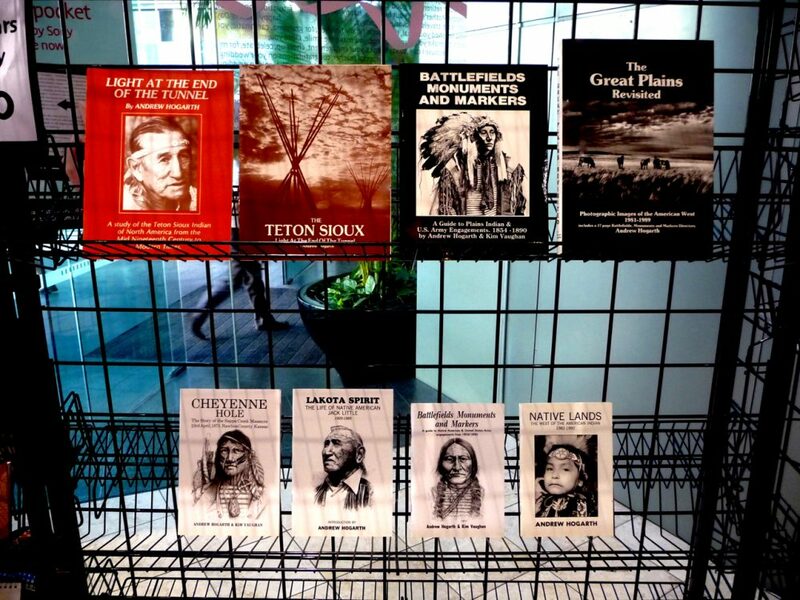 And over the next thirteen years I would write and publish six books and two second edition that dealt with the Lakota-Sioux and Northern Cheyenne’s struggle to retain their homeland and culture against the advancement of white settlers and the United States Army during the mid to late nineteenth century.